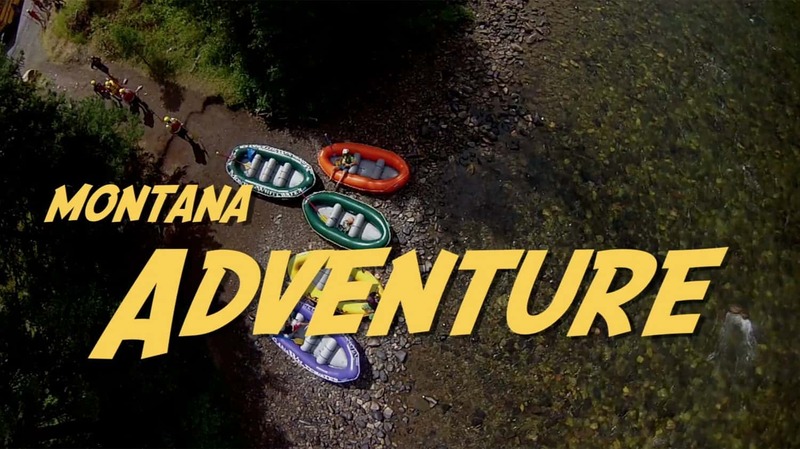 Looking for some whitewater while avoiding white-knuckle rapids? 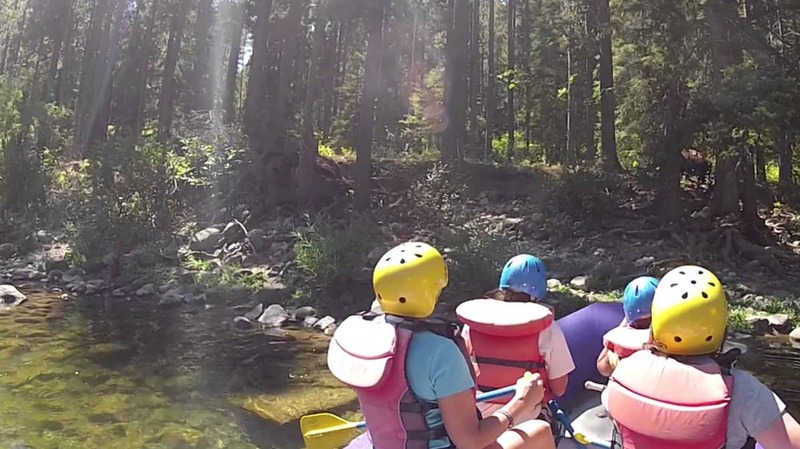 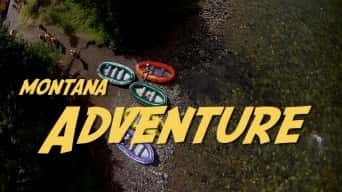 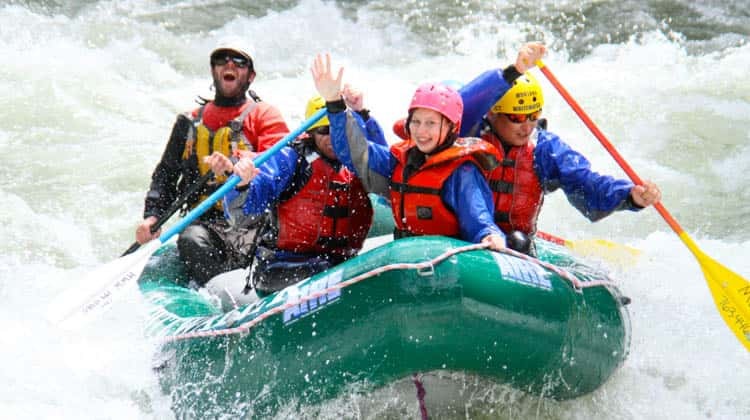 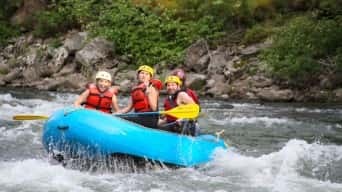 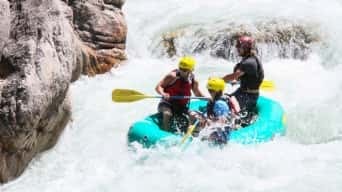 The 3 hour Gallatin River Upper Half Day is perfect for families, first-timers who are timid or not great swimmers – especially in June when the water is high. Enjoy fun rapids such as Hilarity Hole, Screaming Left, and High-Speed Alley. 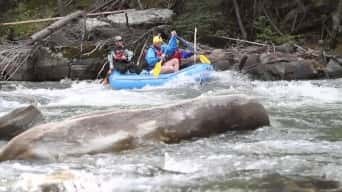 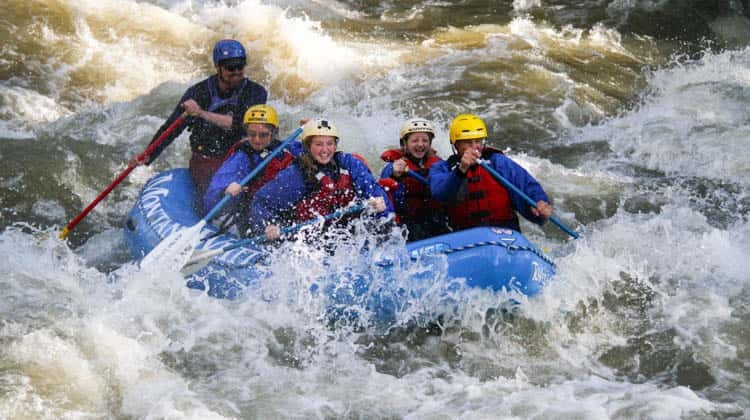 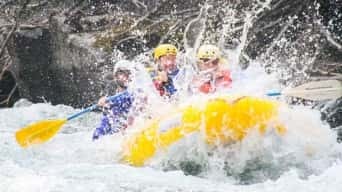 These rapids offer fun splashes and relatively easy navigation without the challenge of long rapids like the Mad Mile. Our 2-3 person, 9 foot Hyside Rafts are a blast! 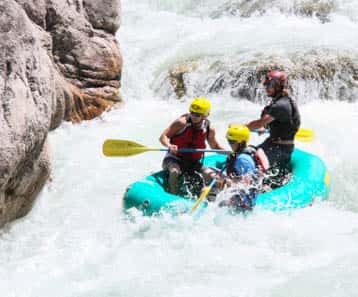 With a smaller boat, you have the option of getting a bigger ride and more splashes as you hit the rapids. 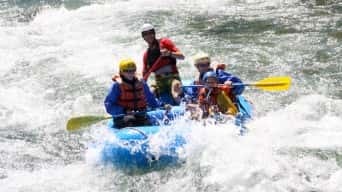 Enjoy this amazing little boat that seems like it was designed specially for the Gallatin River. 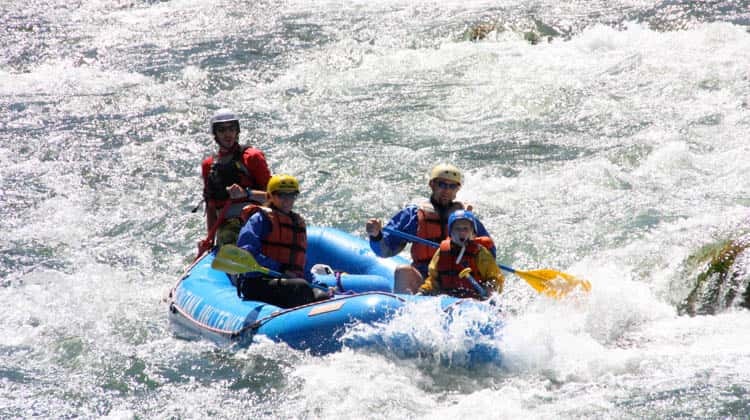 Not only is this boat a great time, it offers an option for people who are looking for a private rafting experience. This trip is especially great when water levels start to drop – offering a more exciting ride for groups of 2 or 3.